Now that I’ve finished the Lily Bard series that my parents got me for Christmas, it’s time to change it up a little bit. Mike has lent me a few books to read, so that has me sorted for the next week or two. Definitely good to not have to spend ages choosing which book to read, and I always like reading books that other people have suggested, it’s a great way to discover new authors, or different genres that I wouldn’t usually choose. 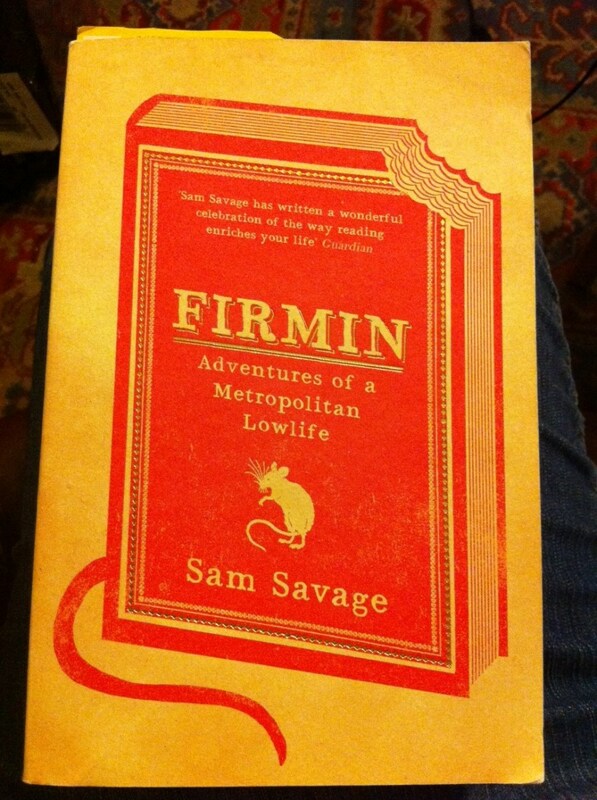 The first one I’m reading is Firmin, which is about a rat that lives in a bookshop. Sounds a bit unusual, but I’ve read the first couple of chapters already and it’s looking pretty good. Can’t really judge it until I’ve read some more though!